Some not so honest webmaster that came before you in the 1990s used META tag spamming and other web page manipulation techniques to get higher rankings. The search engines got the message loud and clear, and answered back with a set of algorithm changes that are still evolving today. The Meta tags were slowly phased out as reliable ways to determine the relevancy of a web page by the major search engines by the late 1990s. Currently, the META description tags only real value is for website owners to succinctly describe their sites in the search results. It no longer has any ranking relevance at all. So now the search engines have the upper hand, and dishonest webmaster have a much harder time manipulating the search results. Of course there are still a lot of people out there who can game the search engines for at least a few weeks or months until their sites are penalized by the engines. At that point, they simply register a new domain and start over with a new link farm, blog spamming, or a new hot off the press "black hat" SEO technique the search engines haven't discovered yet. We hope you are here because you want your website to do well on the search engines for a long time and not just for a day or two. The search engines continue to challenge even seasoned SEO professionals, but by no means is search engine optimization an "elite" skill only a handful of people in the world can master. Although a lot of Internet marketers are pushing some new secret formulas for gaming the search engines, the fact is there are none if you want to ensure your site's long term success. In every market we can find snake oil sales men who are peddling the next miracle cure to your problems, and the Internet marketing world is no exception. Just take a look at this typical claim below. The sales pitch is always the same. They say you are missing a key ingredient in your web promotion campaign and only they know what it is. Or they flaunt in front of you affiliate checks or Clickbank earnings reports to convince you they know the next big SEO secret that helped them earn a pile of money. Did you ever notice, there is also a sense of urgency in these offers. If you don't buy their e-book or spam generator gizmo today you are going to miss the boat. SEO is not a secret, but a discipline that can be learned by anyone with patience and practice. Yes, that includes even you. How can I master SEO? Dedicate sufficient time to learn the fundamentals of SEO and search engine guidelines. If you don't have the budget to hire a SEO to do the work for you, you will need to have a fair amount of time on your hands to understand the most basic SEO techniques. This manual could take only a few hours to read, but we guarantee it will take a few weeks to really sink in even after a few re-reads. Master keyword research techniques. Imagine if you were the owner of a retail store on a busy street, and your store didn't have a sign. You would probably get a lot of people who come into your store just out of curiosity, but would they find what they are looking for? Most likely not. It's the same with the search engines and keywords. If you optimize your site for the wrong keywords, you will get a lot of lookers and no buyers. Understand web design and HTML at a very basic level and learn a WYSIWYG HTML editor such as Dreamweaver. If you can't make changes to your web pages and upload them, there is no chance of improving its relevance through keyword optimization. You don't need to have complete control over the website, as you may work with a template based CMS (Content Management System), but you need to be able to make modifications to the Title tags, META description and the body content. If you have a web designer who makes the changes for you, that's perfectly fine as well. Learn to write and inject keywords into web content and HTML elements. You don't need to be an expert writer to create well optimized keyword rich content. As long as you understand you potential visitors' needs and wants, writing search engine optimized web copy can be learned by anyone. The important thing to remember is to always write for your web audience first, and then tweak your copy to incorporate your target keywords. Dedicate enough time to grow their website content by a few pages a week. Most small business websites stop expanding their web content after 45 pages, which also include some not so relevant pages like privacy policies, contact us page, etc. Websites with more relevant informational pages do better on the search engines. So commit to writing at least one new page per week on a topic that answers some common questions your visitors may have. Begin with "how to tips, "top 10 lists, and "did you know articles" to start your creative juices flowing. Grasp the concepts of links and execute a link building plan. If you were a hiring manager for a large company, would you hire someone without checking their references? The references provide some tangible way to validate the candidate's skills. Links are the equivalent to references on the web. The search engines use links as validation of another website's value and quality on a specific search topic. The more "citations" the search engines find from reputable websites linking to another site, the higher they rank them. It's important to develop a sharp "eye" for valuable links from the beginning that can push your site past your competitors. Remain patient even in the face of sudden ranking drops and continue to learn more about SEO each day. Overreacting to ranking changes and undoing all the previous work is the single most reason new webmasters fail at SEO. If your site is only a few months old, you need to give yourself and your site at least a year to attain reasonable ranking. As long as you follow the safe optimization and "white hat SEO" link building techniques we describe in the following chapters, any ranking fluctuation will be only temporary and there is no reason to change course. Educate yourself daily by subscribing to SEO blog feeds, read SEO forum posts and expert articles. You can find some of the most popular SEO resources at the bottom of this page. What's so secretive about search engines? What do all these terms mean? Well, that depends on when you first realized your website needs search engine traffic in order to attract visitors to grow your business. The terms above are common knowledge to most webmasters who have at least visited a few top search engine marketing portals, SEO forums, or read at least one e-book on SEO. If you are unfamiliar with these terms, don't despair. We understand the confusion about the search engine optimization process, and we are here to guide you with an easy to follow road map. Search engines are still very much misunderstood by most webmasters because the search engines don't publish the exact methods they use to rank websites. If you are serious about your website's visibility, you owe it to yourself to learn as much as you can about the most effective and safe methods to get top ranking on Google, Yahoo!, and MSN. What you have to realize is search engines actually need your website for their survival and profitability. The commercial aspect of the Internet has created an entirely different set of problems for the search engines. Search engines existed long before Google came along in libraries, research institutions, and government facilities. In those early days, the document retrieval process consisted of mainly looking at the content of the documents without any external influences and links. The Internet explosion has single-handedly created the race to invent the "smartest" search engine that is able to find the "diamonds in the rough. The diamonds being the truly valuable web content that is relevant to user queries, and the rough being the junky low quality deceptive web pages that try to mislead the search engines. Organizing the billions of web pages and its content into meaningful, relevant well sorted search results is an immense task even for Google. Think of search engines as the editorial watch dog of all content on the web. As chief editors, it's the search engines job to retrieve the most suitable web pages in response to a user query. 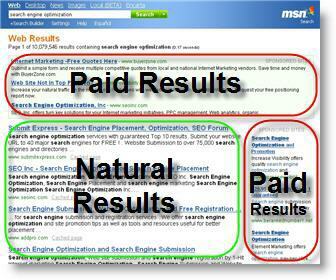 The search engines make money by displaying ads next to the natural search results returned. This is why their search relevancy is the key to their survival. The more relevant the search results are, the more people will make them their favorite search tools. Since about 2001, Google has been doing a fantastic job at returning the most relevant results and has been rewarded with hoards of advertisers bidding on keywords making them a pile of money year after year. In order to keep their search results relevant, the search engines have to ensure there is a level playing field among websites. They do this by frequently tweaking their algorithms to find bad apples that don't play by the rules. This short tutorial will try to take you through the necessary steps to build a site the search engines will love and reward you with high ranking(s). And finally, this tutorial would not be complete if we also didn't warn you about the inherent risks of trying to trick or game the search engines with different spamming techniques to get ahead of the pack. The natural search results are ranked by the search engine's algorithm while others are simply paid advertisements from companies willing to buy their way to the top using pay-per-click (PPC) advertising. When performing a search for almost any conceivable keyword on Google, Yahoo! or MSN, you'll likely see a set of results labeled as Sponsored Links or Sponsor Results. Some sponsored results may appear in the same format as the natural search results, while others are listed within colored text boxes along the side of the page. Please see the illustrations below. Long gone are the days of ranking well for competitive keyword phrases within weeks of putting a site online. As a matter of fact, new sites can rarely rank well within their first year of existence. This is where the pay-per-click advertising alternatives comes to the rescue. As long as you have a valid credit card handy you can start getting visitors to your site immediately once you sign up with Google Adwords, Yahoo! Search Marketing, or MSN AdCenter pay-per-click advertising. The greatest benefit of PPC is the immediate traffic you get to your site, but the downside is the on-going cost of bidding on keywords month after month. Advertisers who are either not ready to commit a budget or time for improving their natural search engine ranking. Small and mid size business often face a dilemma when it comes to SEO. Hiring a SEO company, or doing in-house SEO both require financial resources and time commitment. In most cases small e-commerce companies choose the easier PPC route at first, but often they quickly realize without proper investment in the advice of a pay-per-click specialist and conversion tracking tools they can loose a lot of money very quickly. High profile companies who's websites can't be optimized using traditional SEO techniques. Corporate websites are often an untouchable property for SEOs. Key executives rarely give the go ahead to redesign a corporate website to achieve higher search engine ranking. In these cases PPC is the only way to gain visibility on the search engines. PPC advertisers who want to be in the top results for thousands of keywords. These companies view the cost of PPC as any other off-line promotion method and hey usually heavily invested in visitor analytic tools to accurately report their break even points and profitability for every keyword they bid on. Webmasters who want to test the performance of keywords quickly so they can build an expanded keyword list for organic ranking. Smart webmasters know that to properly test a keyword's relevance and suitability can be quickly achieved with PPC. It takes only a few minutes to setup a pay-per-click campaign with thousands of keywords and with the use of the free Google Analytics it can take less than a few days to find the best performing keywords. Advertisers who have a recognizable brand names, but want to have their ads on top of the search results, when other competitors are also allowed to bid on their brand name keywords. A perfect example of this is the airline industry. Online travel agencies are regularly bidding on airline company brand keywords such as "american arilines", "soutwest" etc. It's not uncommon to hear of advertisers who spend tens of thousands of dollars on a monthly basis for immediate visibility on Google. Also many advertisers have new websites that are either too young to rank well or may have been penalized for spammy SEO techniques. The point we are trying to make is, PPC is a great alternative to get your site in front of millions of search engine users quickly providing (1) you have allocated a monthly budget, (2) researched your keywords thoroughly, (3) and set up a proper visitor and conversion metrics reporting tool. We can't emphasize enough the need for visitor and conversion measurement tools prior to engaging in any PPC campaign. Google Analytics is great free choice for webmaster to track their keywords and conversions that can be tied back to their Google Adwords campaign keywords. PPC can also come very handy to find suitable keywords for your site by testing a large number of keywords at once and measuring the conversion results closely. This process can help you weed out the poor performing keywords and find the true gems. The key is to set up proper visitor tracking prior to starting any large scale PPC campaigns. What is the main advantage of search engine optimization? One of the main advantages of high natural search ranking is your site can get visitors from the search engines 365 days a year without any cost to you other than your own hosting costs. It's like getting a full page add in the Yellow Pages under the category of your choice indefinitely. Do you know any better advertising alternatives that are completely free? We don't, that's why we think you should follow this guide closely and refer back to it as often as you like during the optimization of your website. Although getting free visitor traffic from the search engines is a very cost effective way to drive targeted traffic to your site, it's not without a steep learning curve. The complexity and difficulty of learning SEO can be directly traced back to the search engines themselves. How is that so, you may wonder? The search engines are in the difficult position of trying to reveal as little as possible about the inner workings of their technology to the public, yet they need webmasters like you and me to provide them with the website's that provide the search result in response to the millions of search queries. Why your website doesn't already rank well? If your site had been online for a few days only, we can assure you, you are asking for the moon. Longevity on the web is gold, and the search engines reward websites that have a few years under their belts. It's not to say your website has no chance of ranking well if it's only a few months old, but older websites have the staying power many younger competitors just can't match, especially on Google. Beside the age factor, we could list at least a dozen or more search engine ranking factors that your website probably hasn't incorporated into its pages. There are also a number of other external influences (hint: links) that are in your "SEO blind spot" right now. We promise that by following our SEO guide you will be well equipped to uncover the secrets to your own website's ranking. Is your website's focus global or local? There is a huge difference in time and effort needed to climb to the top of the search results, and it all depends on the keyword phrases you want your visitors to find you by. Attaining top ranking on the search engines depends on the competitiveness of the keyword terms you are targeting. Meaning, the fewer web pages competing for the same terms the higher your chances are of succeeding. On the other hand if you wanted to rank in New York or Los Angeles for real estate related terms, your chances of succeeding would be severely tested. You may already know the reason why. That's right, a bigger population means more real estate offices with websites that have the same keyword terms somewhere on their web pages. The end results is a bigger optimization and link building effort, and most likely more time needed to get the same results as our friendly Ajax realtors. Since there are many more sites competing for the New York and Los Angeles real estate terms, naturally the New York or Los Angeles based real estate webmasters would have to go beyond title tag optimization. They would have to do some serious content writing, optimization, and link building to get a number one ranking. However, this should not discourage you because the search engines rankings are not written in stone, and even the number one website can be unseated with persistent effort and patience. Website owners who sell products or distribute their content worldwide are in a tougher situation when it comes to SEO. It's easy to see why. Once we remove the local geographical terms and do a search for "real estate" only, we are presented with over 370 million results from Google: Results 1 10 of about 370,000,000 for real estate. Unless the keyword phrase is fairly unique, competing globally for popular keywords terms will take more time and careful link building. In some cases, it can take as much as one year of search engine optimization to achieve a top 10 ranking for a very popular term. Your website's age and the Google "Sandbox"
You may not know this, but how long your website's has been online is a key factor in how much work it will take to achieve a decent search engine ranking. We are not talking about the domain's original registration date, but the actual time elapsed between the site's going online and now. The longer the site has been online without any significant down time the better. Sites under the one year mark will have a very difficult time, especially on Google due to factors which even Google doesn't disclose publicly. There is overwhelming evidence a new site needs to be online for a minimum of six moths to one year before it can reach top 10 results for even moderately competitive keyword terms. This artificially imposed ranking ceiling on new websites is referred to as the Google "Sandbox" in SEO. The Google "Sandbox" is a phenomenon that was first observed in 2003 and ever since we can see evidence of new sites with commercial focus competing for highly popular keyword phrases are ranked artificially low for a period of between 6-12 month depending on the market segment and specific keywords. The theory behind the Google "Sandbox" is Google's attempt to control newly build spam websites and link farms from rising to the top of the search results in a short amount of time. Unfortunately Google never openly acknowledged the existence of such a filter or algorithm, so we have no official confirmation from Google, but we can assure you it does exists. The only sites we have seen escaping the Google "Sandbox" are educational or government domains, or subdomains of well established older websites. Another group of sites that may escape the "Sandbox" is sites targeting low competition keyword phrases with local geographical focus. For example a new site that competes for the keyword phrase "toronto handyman", or "toronto carpenter" may be able to rise to the top of the results in less than 4 months. On the other hand a new site targeting the keyword phrase "las vegas real estate" will face the same Google "Sandbox" just like other commercially focused sites in popular niches and may take over a year to achieve reasonable results. Here is some good news; search engine rankings are dependent on two main factors; on-page optimization and off-page optimization. On-page optimization can be described as the tweaking and tuning of web pages and the website as a whole to achieve a unified keyword theme and an easy to navigate structure. On-page factors can be improved by incorporating keywords into the title tags, body content, and internal navigational links. The actual content of the site falls into the on-page optimization category, and although the on-page factors may contribute less to the overall ranking score, the content will make or break the off-page factors since high quality content will always attract more external links. Off-page ranking factors are commonly known as link popularity which means, how many links are pointing to your site. While optimizing your web pages is an important step, today's modern search engine algorithms mostly rely on external ranking factors such inbound links pointing to a website. These external links are counted as votes for your websites popularity and quality. You can improve your websites link popularity by acquiring relevant high quality links from many different sources. Some of these source include links from blogs, reciprocal link partners, one-way links, e-zine article links, directory links, government, or trade associations links. Links from press releases or industry news articles are also excellent sources of links. The search engines recently started to count links in their ranking algorithms community driven sites such as Technorati, YouTube, Delicious, Stumble Upon and Bloglines. Links from these social websites are given a fair amount of weight because the personal preference of users participating in a particular community is a good indication of a site's value which simply can't be determined by a computer based algorithm. The term often used to describe the propagation of news about a site's value on social websites is called Viral Marketing. Viral marketing is the new traffic generation source for webmasters and we'll be covering it in the Web 2.0 Link Building and Viral Marketing lesson. We'll be revealing all the ins and outs of getting your site in front of thousands of social site users in a very short amount of time. The search engines are also extremely good at figuring out relatedness between websites. This means when all other factors are equal the quality of links wins over the quantity of links. In the step-by-step lessons following this introduction, we will reveal how your website can achieve high search engine ranking with the right balance of on and off-page optimization techniques and viral marketing. What is the secret to getting high ranking in 2010? Every year search engine algorithms evolve and change. In some cases, there is a noticeable change in the ranking order of even well established sites. As SEOs we have to adapt to what the search engines are looking for in site optimization and link popularity metrics. The problem is, the search engines don't publish a new checklist at the beginning of the year to tell us what to watch out for in the upcoming year. It would be very nice, but don't hold your breath. Short of a precise list of search engine ranking factors, we have to keep on going back to the top 1020 results on Google, Yahoo!, and MSN to gain some insights into how those sites got there. We look for any fluctuations in the search results for target phrases. We also look at the sites' layout, keyword placement, link popularity, and a slew of other factors. In some cases, there are no changes in the ranking results for months, and than all of a sudden we may see some new websites reaching the top 10 results. When there is a massive number of changes in the top ranking results, it's a clear sign of algorithm changes. So what are the ranking "secrets" for 2010? Old well established domains still dominate the top results. If you don't already own a domain that has been online for a few years you can always find one. You would be amazed how many people are willing to sell their 4-5 year old domains for next to nothing. But don't go to domain brokers to find good deals on old domains. You need to do your own research the old fashioned way. Page through the search results using your target keywords starting at the 4th or 5th page or maybe even higher. Install the SEO Firefox extension and enable the website's age information. When you find a site that is at least two years old and the information looks a little dated, look up the contact info and send an email to make an offer. Links from topically relevant high Google PageRank sites can give a huge boost to your sites' ranking. These are types of links Google don't want you to buy, but in reality without putting some money down you will very rarely get a PR 7 or 8 link without some serious cash changing hands. Let's face it, if your site brand new and commercial in nature, nobody will do you a favor and give you something for nothing. You have to get used to the idea that you either need cash or time and talent to build links to your site. Link exchanges, article and directory submissions are not the silver bullet to building links. . Just like all link building techniques, once they become main stream they lose their effectiveness. If the search engines find 80% to 90% of your inbound links are coming from exchanged links, or article and directory submissions sites, their conclusion about your site is simple: you are manufacturing links in order to rank higher because your site has no value to offer. Your site needs some other sources of inbound links, whether it is editorial links from your peers in your industry or links to a great new tool you have put on your site. The bottom line is one-way inbound links from relevant sites wins the day. Social media is gaining ground, so you better be sociable too. A link from Bloglines, Technorati, Delicious, Blogpulse, IceRocket or Stumble Upon is the web community's way of saying your site is worth checking out. In recent years the search engines started to rely on the collective opinion of social community websites to supplement and aid the relevancy of their machine based search algorithms. This trend will most likely continue and gain even more momentum in the up coming years. Do you want to learn more about search engine marketing? Search engine marketing can take your website to the next level of success providing you do your homework and spend the necessary time learning as much as you can about safe and effective SEO techniques. Search engine optimization is not hard, but it's very detailed. A great deal of knowledge about achieving top ranking is still based on too many "experts" giving bad advice to novice SEOs. Hopefully, this tutorial will help to clear up any misconception you may have about your website's potential and the work that lies ahead of you. We know it's no small task getting a website ranking at the top of the search engines for new webmasters, but we are here to help you every step of the way.